Topic-by-topic practice question set for Regents prep. 2 Most recent Regents Exams for Regents prep. 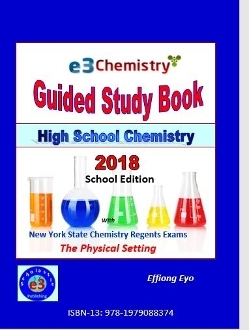 This is the School Edition of our Guided Study Book. This book is also available in Home Edition (ISBN 978-1981186310). The School Edition does not have answers in the book. The Home Edition has an Answer Key Section to all questions in the book. 1. You are a teacher who wants to use our book in class AND do not want your students to have access to answers. 2. You are a student whose school is using the School Edition AND your teacher does not want you to have accesss to answers. Students, Please Be Advised: ALL SALES (from this site, Amazon, Barnes and Nobles. etc) go through us. If a teacher is supicious of a student buying the Home Edition, we can find out and inform the teacher upon request. Please do not buy the Home Edition if you are not supposed to do so. Thanks.